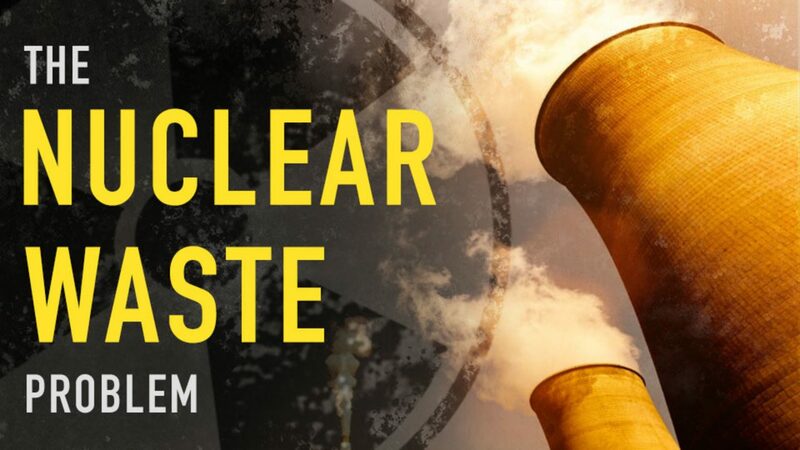 Nuclear waste is the material that nuclear fuel becomes after it is used in a nuclear reactor. From the outside, it looks exactly like the fuel loaded into the reactor — assemblies of metal rods enclosing fuel pellets. But since nuclear reactions have occurred, the contents aren't quite the same. Radioactive waste is usually a by-product of nuclear power generation and other applications of nuclear fission or nuclear technology, such as research and medicine. Radioactive waste is hazardous to all forms of life and the environment, and is regulated by government agencies in order to protect human health and the environment. Radioactivity naturally decays over time, so radioactive waste has to be isolated and confined in appropriate disposal facilities for a sufficient period until it no longer poses a threat, which could be hundreds of years or more.